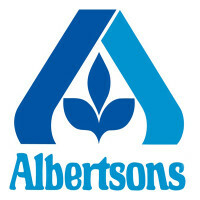 Albertsons is a grocery company that operates in the United States. They sell groceries in retail and medicine through their pharmacy. The company also offers the delivery/pickup option for their customers. It all started in 1939 when Joe Albertson, a former Safeway district manager, launched his first store with the help of L.S. Skaggs, his partner. It worked because Joe knew how to run a store and knew his customers’ preferences. The company employs more than 250,000 employees in 2,200 branches nationwide. It has also been awarded the Safer Choice Partner of the Year Award from the US Environmental Protection Agency in 2017, for the second year in a row. Albertsons offers discounts to their employees when they buy at their stores. Employees also get health insurance, covering their medical, dental, and vision care. They also give paid leaves depending on how many hours you work per month. The company’s employees love working for the company because the management and the bosses are great. They also like how the employees look out for one another. The relationship between employees is more like family than co-workers. The company accepts applicants that are 18 years old and above. They also accept teenagers as employees, as long as they are at least 16 years old. The company offers careers to people with varying types of expertise. They offer careers in merchandising, marketing, human resource, finance, and information technology. They also offer careers in pharmaceuticals. The company loves diversity in their employees since they adhere to the Equal Employment Opportunity policy. Grocery Store Clerk: A grocery store clerk operates the cash register and bags the sold groceries for the shoppers. They also provide friendly customer support. It is also the job of the clerk to restock groceries and remember the codes of products. Bagger: A bagger works at the cash register and is responsible for bagging the sold goods for the customer. They need to move quickly when bagging to avoid long queues at the cash register. They should have the ability to maximize space in the bags. Computer Operator: A computer operator is responsible for the management of data. They are also responsible for the printing of any necessary document and for entering commands through the computer to ensure that the machines are working well and as needed. Vehicle Maintenance: A vehicle maintenance employee takes responsibility of keeping the company’s vehicles in great condition. They search for problems in the vehicles and see to it that these are taken care of and make sure that they are safe and functional everyday. Order Selector: An order selector typically works in the warehouse. They are responsible for receiving orders and picking them up from the inventory. The order selector also packs these orders before sending to make sure it arrives to its destination in good condition. Quality Control Inspector: A quality control inspector observes the products of the company. They make sure that the goods are in top notch quality and monitor failures in producing quality goods. They oversee everyday operations to make sure that everything follows production standards. Human Resources Specialist: A human resources specialist is responsible for the recruitment and screening of job applicants. They communicate with employers to fully understand the employer’s needs. It also falls on them to attend job fairs to recruit applicants and to fully orient new employees about what their job is about. Accuracy Control Monitor: The accuracy control monitor is responsible for keeping count of all the company’s inventory through a cycle count. They also make reports regarding the status of the inventory and review previous reports to find any abnormality in the company’s records. Inventory Control Coordinator: The inventory control coordinator takes care of the management of inventory through a database. They keep track of the number of products transferred between locations. They insert received and issued goods into the company’s database and troubleshoot any abnormality in the records. Maintenance Specialist: A maintenance specialist can be a welder, plumber, carpenter, and other jobs related to the building maintenance and safety. They fix any damage in the company’s properties to make sure that everything works smoothly and store operations will not be affected by the damage. For job applicants who aspire to work for the company, they have to submit an application and the necessary requirements to the nearest store’s human resource department. For people who are not comfortable with going to the nearest store to submit an application, they also accept online applications. The applicant must submit it to the careers section of the company’s website. In filling in the application form whether it is at the store or online, the applicant must be honest of the information that he will include in his form and to take time in filling it in to avoid errors. For the resume, the applicant must remember that a resume is not a list of accomplishments. Only the accomplishments and skills that are relevant to the job must be included and put all the best ones at the top. During the job interview, applicants must wear proper clothing. They also have to be confident yet not arrogant and remain attentive to the interviewer. The applicant must also make his objective clear during the interview. The company has a great culture. The atmosphere at every store is friendly and the employees treat each other as a family. They provide the customers with a great shopping experience every time they shop. The supermarket chain also holds special events like the Halloween Hunt where they give discounts on selected goods for the Halloween and the Albertsons Farmer’s Market & Agricultural Education where they teach people of all ages about agriculture for free. Albertsons is also known for its supermarkets that cater to every customer’s needs. The shopping experience the employees provides for the shoppers are truly awesome. The supermarket chain also helps out the community. They have been a supporter of clean environment for nearly 20 years through recycling plastic, paper, and cardboard. They also allow the community to put recyclable material in the stores’ recycling bins. 1 How old do you have to be to work at Albertsons?